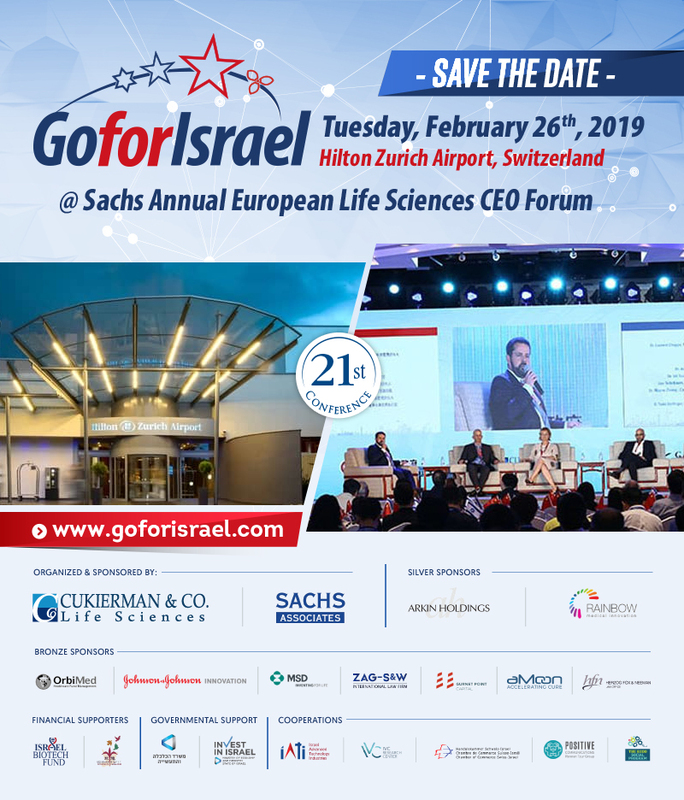 GoforIsrael @ Sachs European Life Sciences CEO Forum will take place at the Hilton Zurich Airport Hotel in Zurich, Switzerland on Tuesday, February 26th, 2019. More than 300 leading global investors & strategic players will arrive to get a taste of Israel’s finest Life Sciences opportunities and explore the possibilities and the challenges of equity funding and strategic corporate development with Israeli companies. The companies taking part in the GoforIsrael @ Sachs ELSCEO conference are leading Israeli companies in the fields of MedTech, Biotech, Pharmaceuticals, Diagnostics and Digital Health. An online meeting platform will be provided prior to the conference in order to schedule 1:1 meetings with potential investors and strategic partners.